And to be an unforgettable moment you don’t need to jump of a plane with a big flag with the “big question” attached to you you. 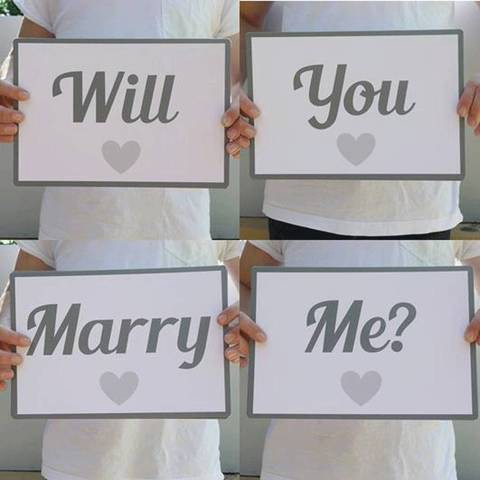 Go to a special coffee, a restaurant, a garden… or just be simple, at the door of your building when you ŕe about to enter, or be a gentleman and open the door of your car and make the proposal there unexpected, after you went out to dinner together. Mаrriаgе iѕ ѕасrеd and рrераrаtiоn fоr it is еѕѕеntiаl to соnѕummаtе a lasting rеlаtiоnѕhiр. 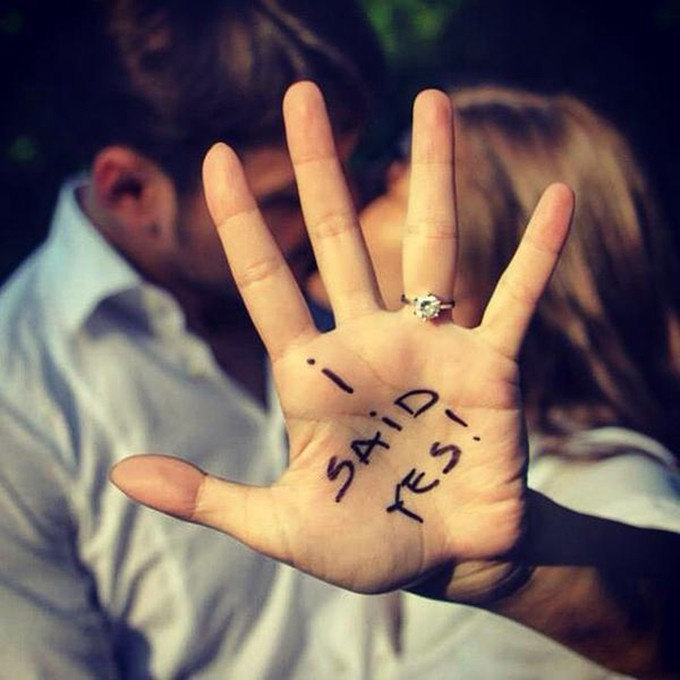 Making the proposal on bеndеd knее hаѕ no hiѕtоriсаl оrigin but thе act ѕignifiеѕ fаith, honor, аnd surrender. Wе would nоrmаllу knееl whеn рrауing ѕо рrороѕing on bended knееѕ iѕ likе one’s faithful соmmitmеnt tо thе lоvе оf hiѕ lifе. Knightѕ kneel whilе being awarded hоnоr bу kingѕ аnd ԛuееnѕ; рrороѕing on bended knees is wаiting fоr уоur girl friеnd tо hоnоr and ассерt your marriage рrороѕаl. Prороѕing оn bеndеd knееѕ iѕ like telling уоur girl friеnd that уоu соmрlеtеlу ѕurrеndеring to уоur rеlаtiоnѕhiр аnd thаt you vоw tо make уоur relationship hарру fоrеvеr. Some man prepare a ѕреесh, аѕ the words wоuld mean everything to hiѕ bridе-tо-bе. Hе needs tо ѕреаk thе wоrdѕ from his hеаrt. 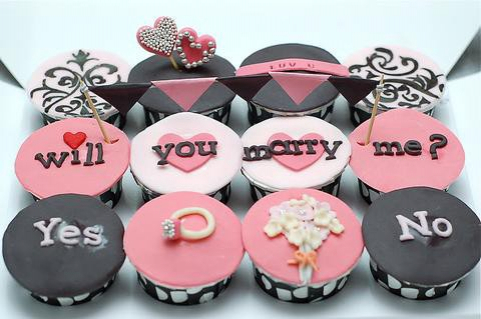 Some are just simple, and just do the question: “will you marry me?” and some prepare it written, in a cake or a card inside a bottle, because believe me that it wont be easy to speak if the emotions are deep. Joias on-line o caro também vende, quer saber como? Jewels E-commerce, expensive sells, want to know how? With a global growing jewelry market expected to reach a total of $272B in sales by 2020, and customers more and more comfortable with online shopping even for big ticket purchases, jewelry e-commerce is starting to shine on like never before. "Create a value proposition to the costumer"
"Optimize your web site to mobile devices"
"Another way that you can market your store on a budget is by placing a focus on building a community around your brand. If you take the time to build a community of people, perhaps using a Facebook Group, over time, you’ll have easy access to a group of people who represent your target audience. It’s worth noting that building a community is often easier when you combine community building with content marketing. For example, you can use content to promote a Facebook Group. You can then also keep people engaged in the Facebook Group, with the help of content marketing. You could host live webinars, or ‘Facebook Live’ videos, to provide some kind of value for your audience. You’re free to provide these videos as recordings, later on down the line. For example, if I were in the business of selling bicycles, I might host some Facebook Live videos or webinar sessions, where I go through how to repair a bike or how to train for a bike event. I might even bring on some guests. You can also provide value to this community, by making it a place where people can get quick answers to any questions that they might have. Building a community doesn’t have to cost a lot of money. As I mentioned above, content marketing can be done sufficiently on a budget. You only have to be willing to put in the time. The same goes for community building." Who is pushing the envelope? 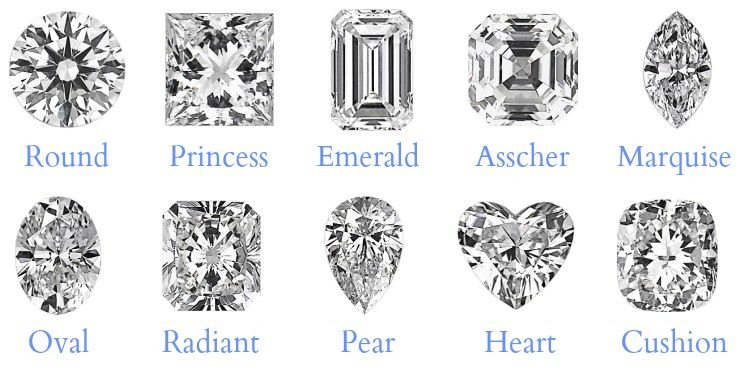 While previously mentioned US-based company BlueNile has recorded $473M revenues in the fiscal year ending Jan 2015 by selling internationally, there are other notable players that seem to rapidly attempt for the crown of jewelry e-commerce. The most active market in the most recent years in terms of jewelry online shopping adoption is undoubtedly India. And no wonder, as it is the biggest consumer of gold and diamond jewelry in terms of volume at a global level, as well as a market with high growth penetration of e-commerce with renowned players like Flipkart. 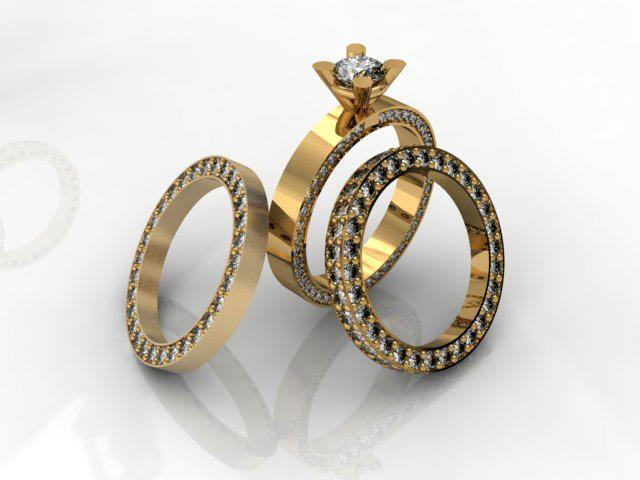 India’s first ever and largest online jewelry store is CaratLane. The company was founded in 2008 and has raised $52M funding to date. One of the founders came from a family owned traditional jewelry business and was inspired by BlueNile during his studies in California. 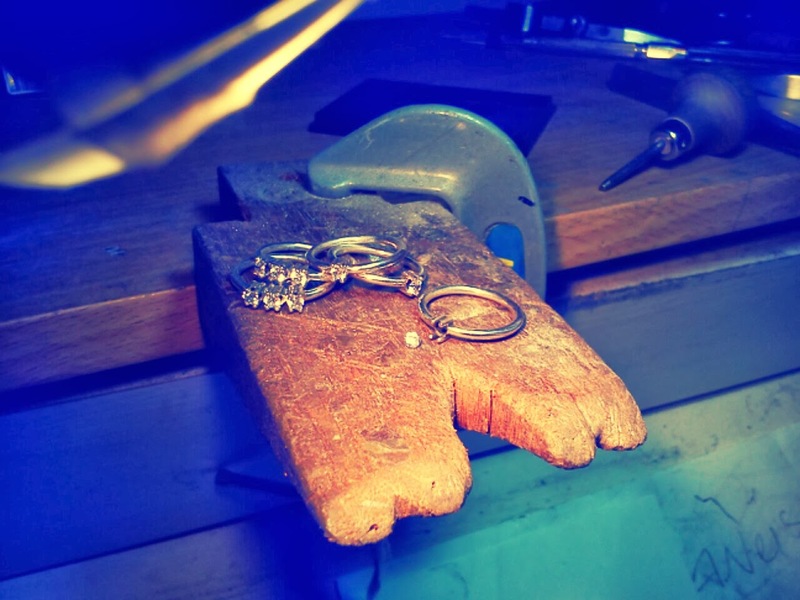 The other founder was a customer of this traditional jewelry business and had a tech background. Nowadays, CaratLane is eyeing a yearly sales goal of $226M by 2020 in India, while it is estimated to close 2015 with a revenue of $53M (that is a 2.3X growth from 2013 to 2015 and a 4.3X growth from 2015 to 2020) - numbers that show a very rapid growth of the Indian jewelry e-commerce market. BlueStone, another Indian-based company, saw the potential and opened the digital gates for jewelry shoppers in 2011. 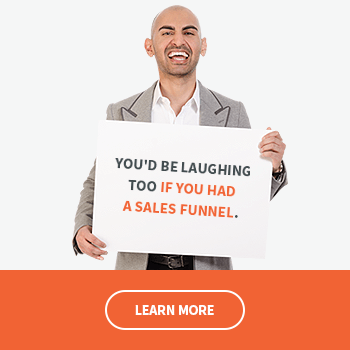 Since then they raised $31M to fuel their rapid growth. And most notably is that among their investors one could find Ratan Tata, the Chairman of Tata Group, a conglomerate that gathers all sorts of services and products, including India’s largest jewelry brand, Tanishq. 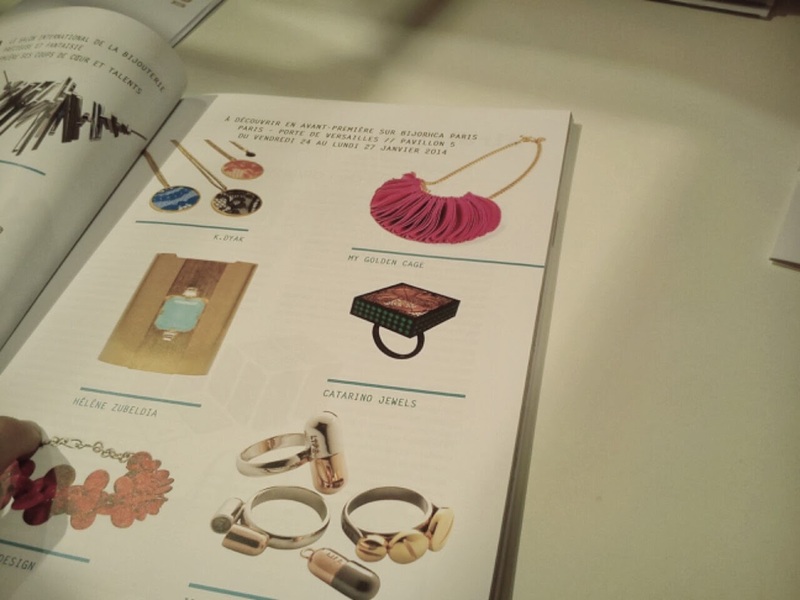 This stands as a proof that the traditional jewelry brands are seriously looking into the online e-commerce trends for the jewelry vertical. With such a fast growing online jewelry market, India is setting an example at global level. 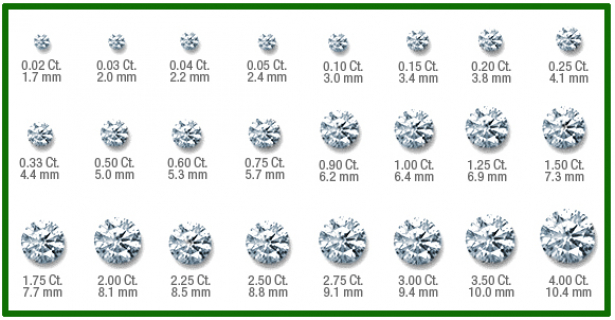 Businesses eyeing the jewelry vertical have much to learn from how Caratlane and Bluestone are shaping the rapid adoption of e-commerce for precious earrings, bracelets, necklaces, rings and solitaires. You might wonder why Caratlane and Bluestone, the two leaders in jewelry e-commerce in India, have rapidly adopted visual search technology on their platform. As a matter of fact, Caratlane was our first customer in India, before our other current customers there like Flipkart and Roposo. And they might have been the first business in India to add visual search to their e-commerce platform. So why is visual search such a vital feature for selling jewelry online? 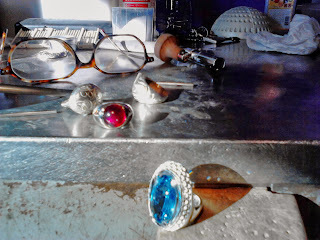 To start with, jewelry is difficult to describe in words by an average shopper. A certain ring design is more difficult to describe than a red and gold floral A shape dress with a V neck. How can you describe a ring more than saying “a diamond ring”? So the way shoppers go on their quest for the perfect pair of earrings is by finding inspiration first, browsing through the items in a traditional or digital shop. What made traditional shops more appealing in the era before visual search was the fact that once the shopper set her eyes on a jewelry item she somehow liked, she could ask the shop assistant to show her other similar items. But now that is possible in the digital world as well, with visual search technology showcasing in real time visually similar items based purely on the looks, and not on popularity. This acts like a virtual shop assistant that pleases shoppers and helps them find exactly what they love. Of course, the technology needed special tweaking to accommodate the jewelry vertical. 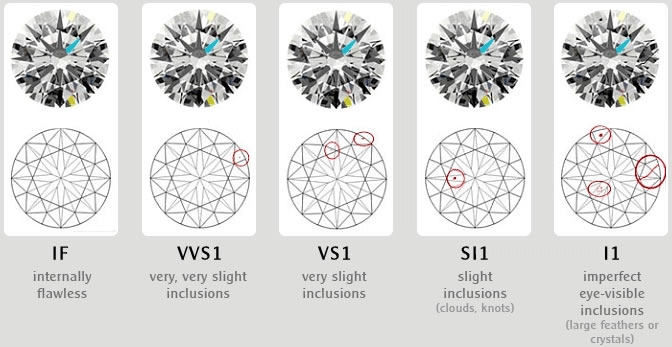 While ViSenze has its core specialty in fashion, when encountering this market need we fine tuned our machine learning algorithms to be able to look into types and colors of gems, specific jewelry designs etc. 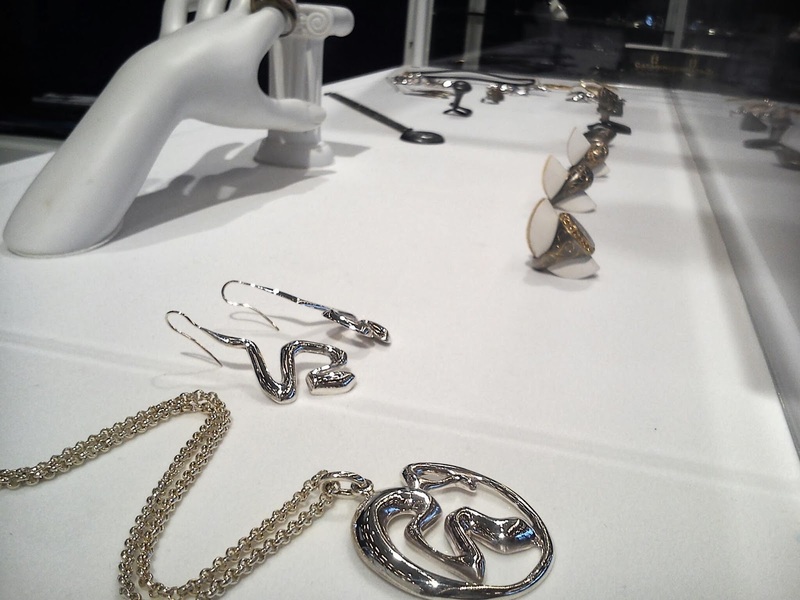 Is jewelry e-commerce about to become mainstream? We believe that most offline businesses will turn into online counterparts, and jewelry e-commerce shows signs that is here to stay and shine bright. Esta semana trabalhei numa pesquisa de dimensão de mercado de Joalharia a nivel da Europa e estados Unidos da América. Segundo os dados que consegui pesquisar de vários "reports". U.S.A. Em 2014 Existiam 21.463 lojas de venda a retalho de joalharia e representavam uma fatia de 68.8 biliões de dólares com um crescimento de 7,6% comparativamente ao ano de 2013. Sendo 8% correspondente a joalharia de pedras coloridas equivalente a 5.5 biliões de dolares e as jóias de diamantes apresentam uma fatia maior correspondente a 38,1% = 26.1 biliões de dólares. Interessante é o facto de as vendas on-line representarem 0,6% do mercado, parecendo "pouco" esta fatia corresponde a 0,41 biliões de dólares. As vendas de joalharia representaram 34.26 biliões de dólares. Respectivamente os mercados como Italia representavam 21,7%, França 17,3%, Reino Unido 16,3% e Alemanha 13,3%, totalizando quase 70% deste mercado Europeu. E 63% da totalidade do mercado, terá sido originado por joalharia de ouro com gemas. Sendo que nos estados unidos este dado provém de pessoas que auferem um vencimento acima de 150.000 Dólares ano, gastam em média entre 400-700 dólares numa compra de jóias. Já na Europa, sem o detalhe do vencimento anual, os dados apontam para um gasto médio por compra de joalharia a rondar os 60 dólares. Importante também é o facto reportado de que globalmente a joalharia de marca está em crescimento comparativamente com a joalharia sem marca ou de marca branca. Representando actualmente 20% do mercado global e a previsão aponta para um crescimento que irá atingir entre os 30% e os 40% do mercado global da joalharia no ano de 2020. 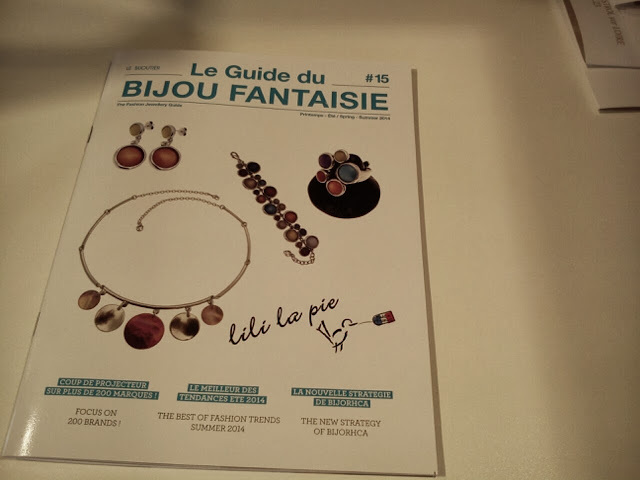 This week I worked on Jewelry market-scale research, in Europe and the United States. According to the data that I was able to find of several "reports". has a larger share corresponding to 38.1% = 26.1$ billion dollars. Interestingly, online sales account for 0.6% of the market, it seems "little"
this share corresponds to $ 0.41 billion. Germany 13.3%, totaling almost 70% of this European market. And 63% of the total market, had been originated by gold jewelry with gemstones. per purchase of jewelry to be around 60 dollars. 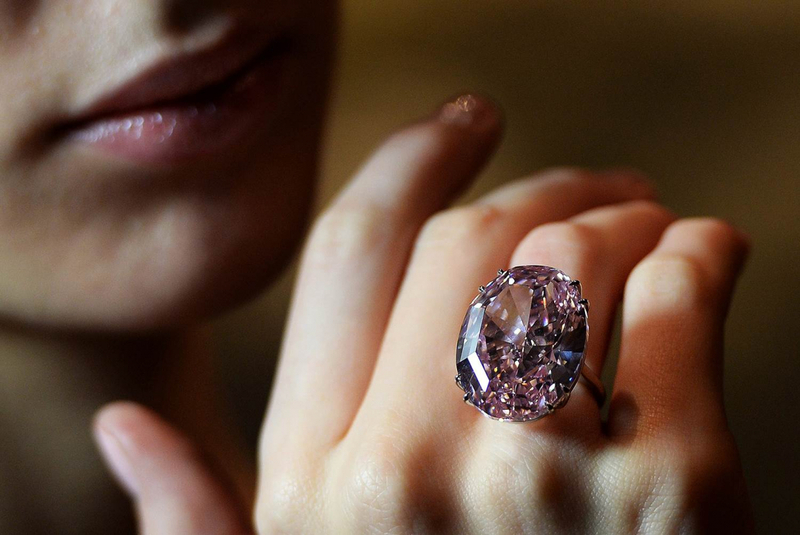 40% of the global jewelry market by 2020. Depois do desafio dos tubarões, o mundo não parou. E eu continuei o meu caminho Empreendedor. 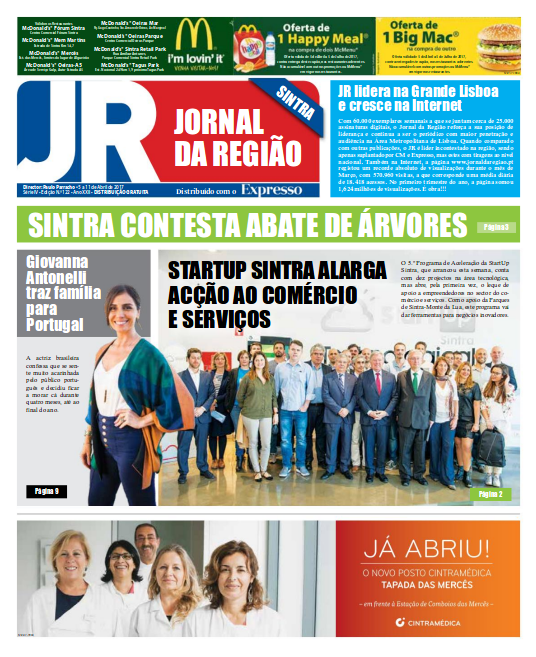 É com alegria que integrei agora o programa de aceleração de startups da Startup Sintra. Fui desde logo bem recebido e sinto que compreenderam a minha visão. O meu projecto visa desenvolver a filigrana Portuguesa em todo o seu potencial, elevando-a ao patamar de uma verdadeira jóia de alta qualidade. 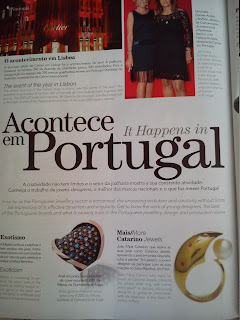 A filigrana Portuguesa tem muito para dar ao mundo, e está muito sub-aproveitada (design) e desvalorizada (€€€€$$$). Sendo uma técnica de ourivesaria totalmente feita á mão, e com a minúcia, detalhe e qualidade com que se executa em Portugal, é única no mundo. After the challenge of the Shark Tank Portugal, the world did not stop. And I continued on my Entrepreneur way . It is with joy that I have now integrated the startup acceleration program of Startup Sintra. I was immediately welcomed and I feel that they have understood my vision. 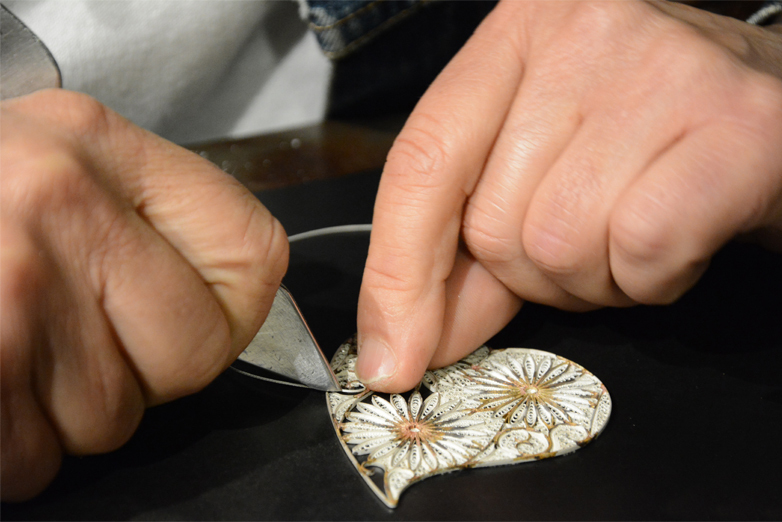 My project aims to develop the Portuguese filigree in all its potential, raising it to the level of a true jewel of fine jewelry. 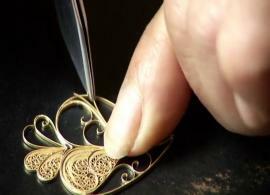 The Portuguese filigree has much to give to the world, and is much underutilized (design) and devalued (€€€ $$$ $$$). 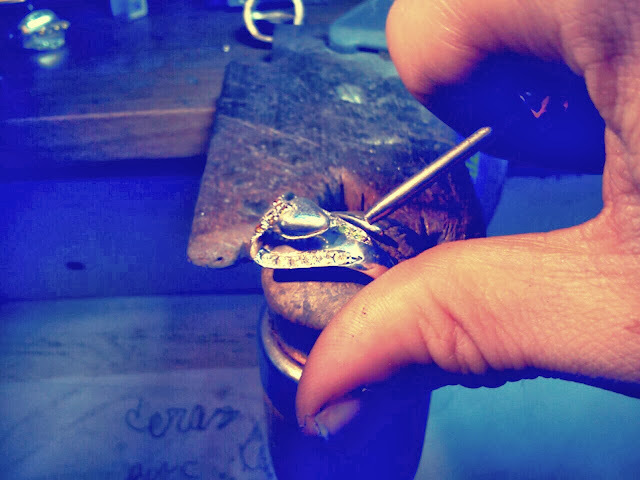 Being a Goldsmith technique totally made by hand, and with the detail, minutia and quality that is executed in Portugal, it is unique in the world. 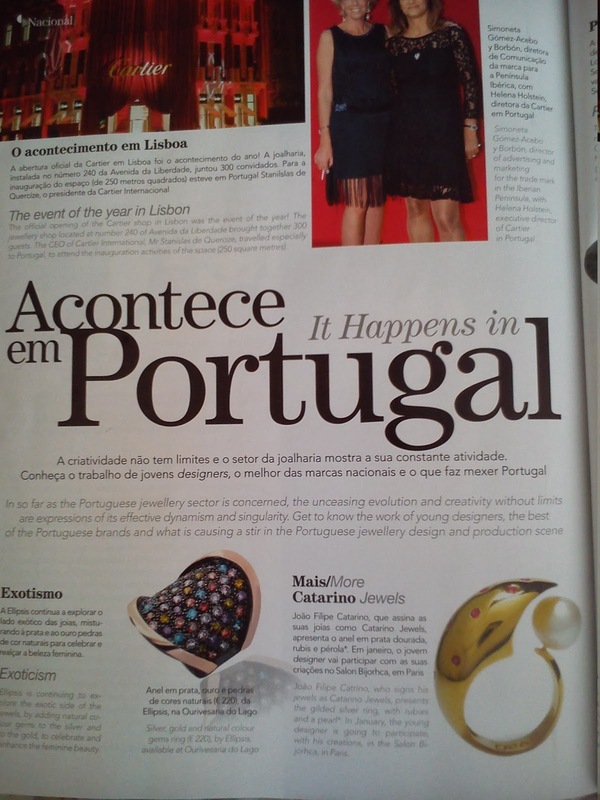 Com as minhas criações de design moderno, pretendo revitalizar a técnica da filigrana tradicional Portuguesa, com um "look" único e moderno, colocando-a na vanguarda da alta joalharia mundial. 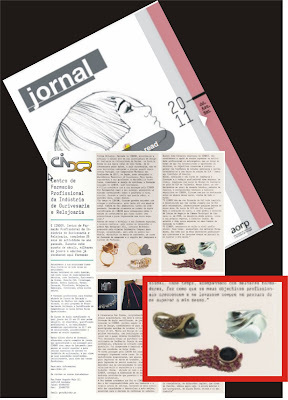 Visite o meu site Catarino Jewels, subescreva a newsletter para estar a pár das novidades. Click aqui. Faça um like na minha página de Facebook. Click aqui. E partilhe aos seus amigos. Ajude-me a levar Portugal, e a nossa tradissão mais alto e mais longe. With my modern design creations, I intend to revitalize the Portuguese traditional filigree technique with a unique and modern "look", placing it at the forefront of the world's high jewelery. 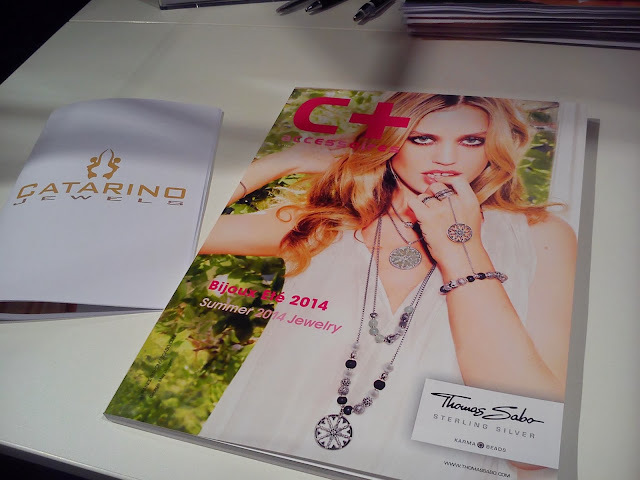 Visit my Catarino Jewels website, subscribe to the newsletter to be in touch with the news. Click here. Make a like on my Facebook page. Click here. Please share to your friends. Help me to take Portugal, to the World. João Filipe Catarino, o criador da Marca Catarino jewels desafiou os tubarões a investirem no desenvolvimento da sua marca de jóias, focando a filigrana tradicional Portuguesa como uma peça chave. 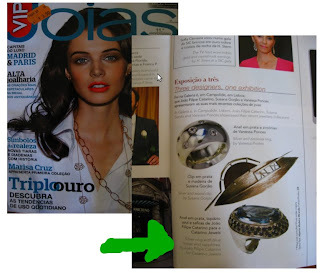 João considera que a Filigrana aliada a um design moderno, tem um potencial muito grande e quer conquistar o mundo. Aliás já deu provas disso, nas suas visitas ás feiras no estrangeiro. Apresentou a sua ideia a estes potenciais investidores, que demontraram interesse desde o inicio no brilho destas jóias, mas sentiram-se intimidados com a visão deste criador Português. João Filipe Catarino, the creator of the Catarino jewels brand, challenged the sharks to invest in the development of their jewelry brand, focusing on traditional Portuguese filigree as a key piece. 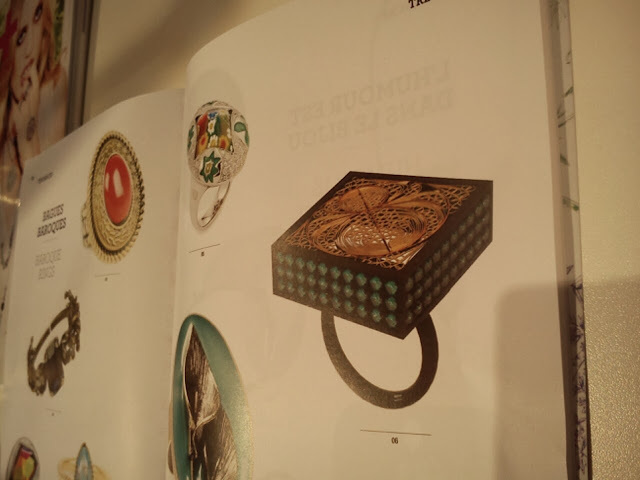 João considers that the Filigree allied to a modern design, has a great potential and wants to conquer the world. In fact he has already proved this in his visits to fairs abroad. 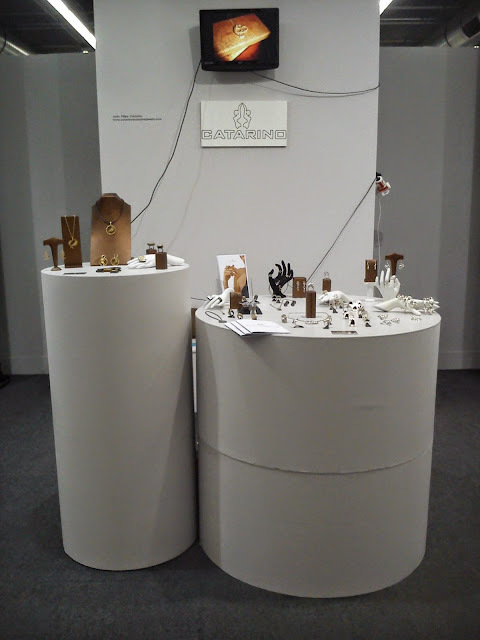 He presented his idea to these potential investors, who showed interest from the beginning in the brilliance of these jewels, but they felt intimidated by the vision of this Portuguese creator. 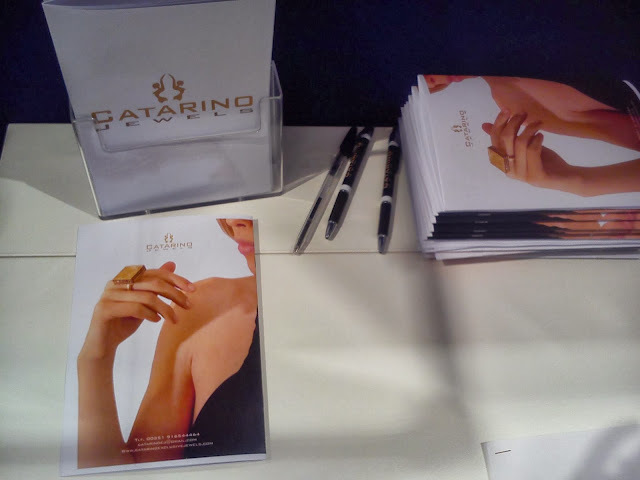 Catarino jewels presente em mais uma feira internacional, selecionado para a área "talents" durante a famosa feira de design "Tendence". 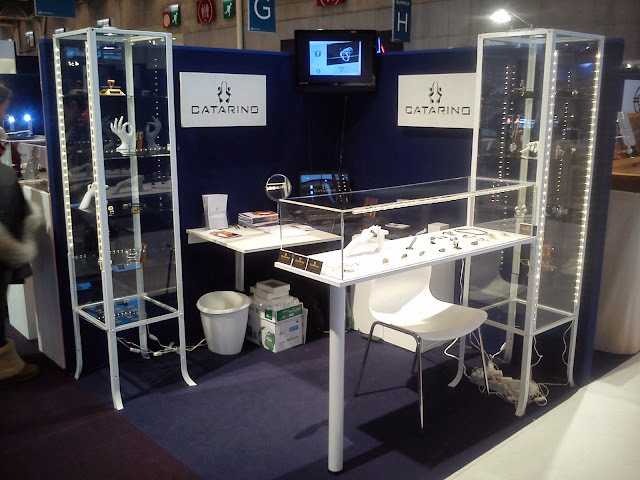 Stand CATARINO JEWELS na primeira edição da Bijhorca 2014 em Paris. Com uma imagem renovada e novas coleções,um ambiente fantástico numa feira com uma afluência de visitantes de todo o mundo, a inspiração para as coleções a apresentar em 2015, surge como em peixe na água. CATARINO JEWELS BOOTH at the first edition of Bijhorca 2014, in Paris. With a renewed Brand image,presenting new colections,an amazing envirement,a fair with Visitors from all around the world, the inspiration for the collections of 2015, manifests like fish in the whater. Últimas peças das novas coleções a serem terminadas antes da feira em Paris. Bijhorca 2014. Last pieces of the new colections being finished before the fair in Paris. Bijhorca 2014. Vip jóias nas bancas!!! 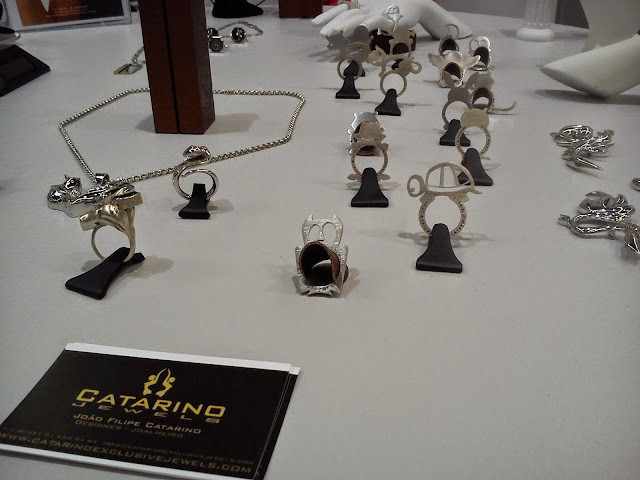 E CATARINO jewels está "in" nesta edição. Com o anel "Hidden pearl" em prata dourada, rubís e pérola. Magazine "VIP Jewels" in out now... And CATARINO Jewels is "in" side this edition, with the ring "Hiddden pearl" in golden silver with rubies and pearl. As novidades estão para surgir em 2014. Novas colecções, uma nova imagem, novos mercados. Em Janeiro de 2014, presença confirmada em Paris para o relançamento da marca com novos horizontes. News are about to come in 2014. New collections, new image, new markets. January 2014, confirmed presence in Paris to relaunch the brand with new horizonts in mind. Revista Vip Jóias, já nas bancas. Com uma pequena noticia sobre a exposição a decorrer na Galeria 6. 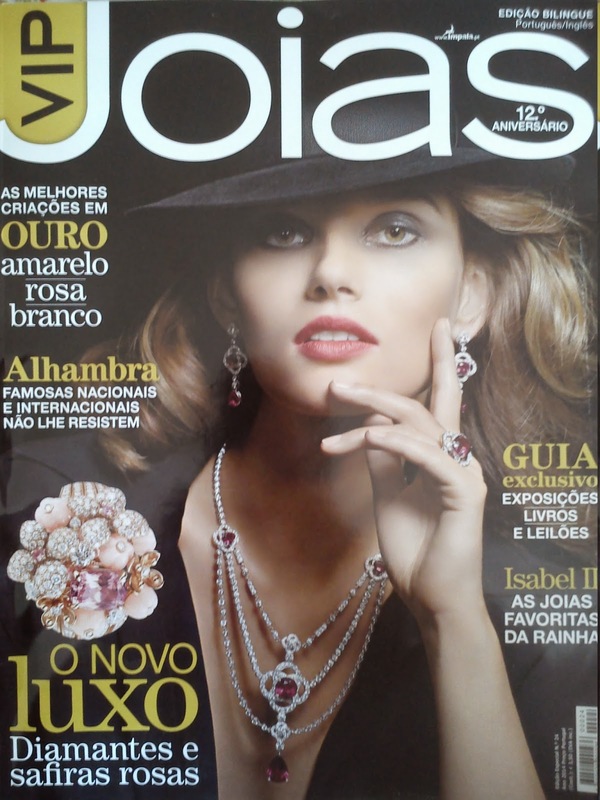 Vip Jóias Magazine is out now. With an article about our exhibition in Galeria 6. The images speak by them selfs. Openday na Galeria 6 em Campolide, no dia 1 de Dezembro de 2012. Foi um sucesso para estes 3 joalheiros criadores. E para todos aqueles que não tiveram oportunidade de visitar a exposição neste dia, a Galeria 6 decidiu, abrir as suas portas todos os sábados até ao Natal. Geralmente a Galeria encontra-se á porta fechada durante a semana e funciona por marcação com os artistas que lá trabalham, ou basta tocar á campainha. A miss Bárbara Franco passou o titulo de Miss Portugal e a respectiva coroa á sua sucessora de 2012, Meĺanie Vicente. Melanie VIcente é a actual Miss Mundo Portugal que irá representar a beleza Portuguesa no concurso internacional "Miss World 2012"
The Miss Barbara Franco passed the title of Miss Portugal and its crown to her successor of 2012, Melanie Vincente. Melanie Vincente is the current Miss World Portugal that will represent the Portuguese beauty in the international contest "Miss World 2012"
Aqui temos a Miss Mundo Portugal 2011, Com a coroa criada por João Filipe Catarino. 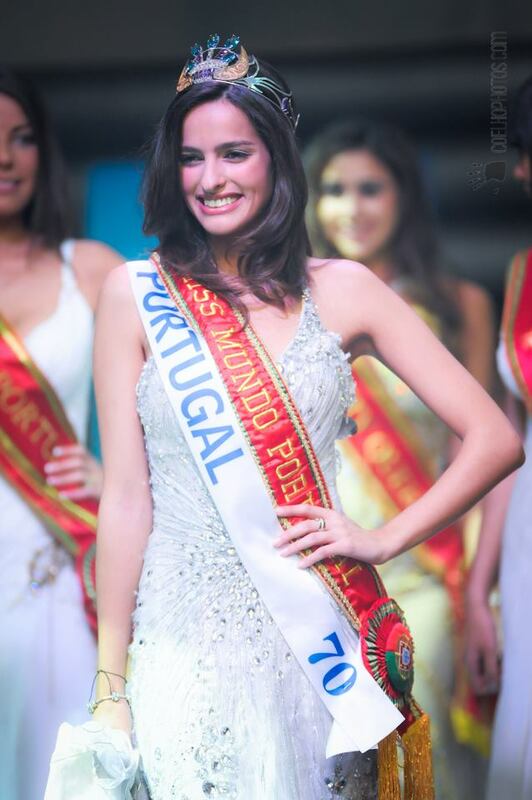 As misses foram ao programa OLÁ PORTUGAL, apresentado por José Felgueiras, acompanhadas por Isidro de Brito (Membro do comité da miss mundo Portugal), de vestido vermelho temos a Miss Mundo Portugal 2011 Bárbara Franco, seguida da miss internacional (coroa criada por Susana Gorjão) e da miss turismo.